His considerable organizational abilities, his total ruthlessness, the intensity of anti-Semitism and his Nordic appearance were self-evident. Himmler perhaps perceived the perverse view that Heydrich’s fear of being considered Jewish, or partly Jewish, would be a means of controlling his talented associate. 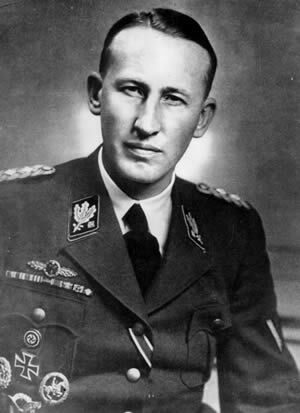 Whatever the truth in this, Heydrich rose quickly within the SS and became Protector of Bohemia and Moravia in September 1941. Tipped to be a future leader of the Third Reich, he was assassinated in 1942.